"Dress by Schiaperelli, photographs by Cecil Beaton, flowers by Constance Spry... ' The decorator of the moment, the photographer of the moment, the florist of the moment ' what more could you ask?" Thus Vogue magazine described the wedding in 1937 of the Duke and Duchess of Windsor, but today Constance Spry is better known as the author of that bible of middle-class housewives throughout the land, The Constance Spry Cookery Book. But who was she? Those of us who recognize the name think only of recipes, but her story is in fact that of a profoundly unconventional woman, who went from a poverty stricken childhood to the height of London society, taking in a career as rich and varied as it was unusual for a woman of her era. Connie began her life teaching slum children and ended it creating the floral displays for the coronation Queen Elizabeth II. Along the way, she escaped a violent marriage, had a lengthy affair with a cross-dressing lesbian artist and built a hugely successful business as a society florist. 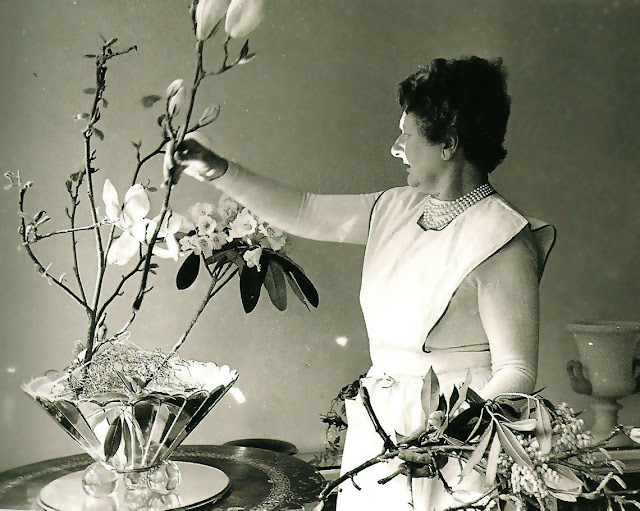 Today, her influence can be seen in every unorthodox flower arrangement, every 'natural' bouquet tied with rattan and, of course, in the gardens up and down the country planted with the Constance Spry rose.